The Quoizel Laila antique bronze finish 6 light medium birdcage chandelier, a superb quality ironwork wall light, supplied by Elstead Lighting and designed by Quoizel. The Laila ironwork six-light birdcage chandelier has a traditional detailed central wire cage surrounded by six graceful candelabra style arms, with metal candle pans and candle tubes. 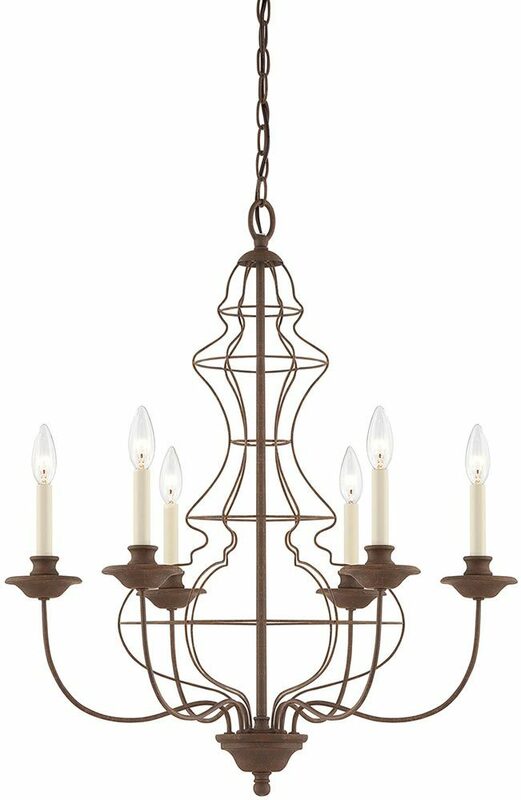 The wrought iron cage is finished in a cosy soft antique bronze making the whole fitting warm and inviting. 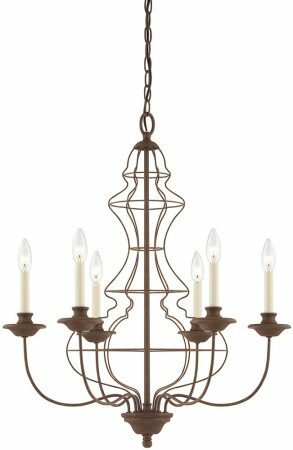 The warm, cosy and comfortable style of this chandelier will make any room feel warm and inviting. The openness of the birdcage adds interest whilst the central candelabra will give a warm soft lighting glow that will add romance and artistic flair to any room, hallway or landing. This is a medium sized chandelier but has a height of 762 mm and is supplied with an additional 2.4 m of chain that can be reduced at the time of installation. It is recommended that you carefully measure the height of your ceiling to ensure that you have adequate space.